It’s a 4-2-5 Defense System potpourri this week! Defending 2 TE sets, Goal Line Defense, and defending Slant-Bubble. How do you handle a Double Tight End alignment against a team running weak side leads? How do you defend Trips Closed formations on the Goal Line? 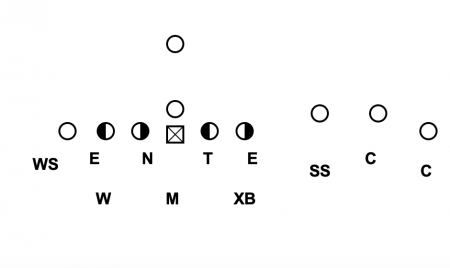 How do you teach your Overhang Safeties to defend the Slant-Bubble concept? I’ll go in detail on each question in today’s episode! You can get all these answers and much more when you join JDFB Insiders, with instant access to the 4-2-5 System. This was a response to a listener question sent by email. You can send in your questions for the JDFB Quick Clinic by messaging me on Twitter @footballinfo or sending an email to me at [email protected].